The Lottery has been drawn for this week. shaynayy2222 is the winner of the 354,700MP Jackpot with the winning numbers of 1, 2, 4, 7, 9 and 10! Congratulations! Last Week's Raffle has now ended. aqmalazman is the winner of the Red DNA and 100,000MP prize with the winning raffle ticket number 11010! Congratulations! Make sure you buy your tickets for today's raffle - only 10MP per ticket! The Lottery has been drawn for this week. josefine378 is the winner of the 394,000MP Jackpot with the winning numbers of 21, 13, 2, 16, 8 and 9! Congratulations! Last Week's Raffle has now ended. lilarvz is the winner of the Red DNA and 100,000MP prize with the winning raffle ticket number 17160! Congratulations! Make sure you buy your tickets for today's raffle - only 10MP per ticket! The Lottery has been drawn for this week. jov123 is the winner of the 375,000MP Jackpot with the winning numbers of 1, 21, 24, 7, 8 and 2! Congratulations! Last Week's Raffle has now ended. Gothboy116 is the winner of the Red DNA and 100,000MP prize with the winning raffle ticket number 6463! Congratulations! Make sure you buy your tickets for today's raffle - only 10MP per ticket! The Lottery has been drawn for this week. crazeyhead55 is the winner of the 473,800MP Jackpot with the winning numbers of 1, 23, 9, 5, 6 and 7! Congratulations! Last Week's Raffle has now ended. FunRun10 is the winner of the Red DNA and 100,000MP prize with the winning raffle ticket number 20160! Congratulations! Make sure you buy your tickets for today's raffle - only 10MP per ticket! The Game of the Week has now changed to Fruit Harvest. A new shop has opened its doors in Lush Lake. The Coffee Shop is currently restocking 32 items. We have just released a new Goals Game. At every level you have a new goal to complete related to Puchalla Village. Each level gets harder to complete but you will receive a prize for completing each level. Unlike quest and mission games, you have unlimited amount of time to complete each goal level and you can only complete them once. New levels will always be added to the Goals in each world. Prizes include rare items only avaliable from goals, MP, BP, RP, Dukka Coins, Account Upgrade Credit and stats for your pets. The Puchalla Village Goals is the twelfth world to have goals and currently has 6 levels for you to complete. New levels will be added in the news to these goals all of the time, each with a brand new prize. The Puchalla Village Goals has been added to the map. The Potions Shop has 18 new super rare Mordo Potions that you probably won't personally ever get to see restock. But good luck to anyone who ever catches one! There are 8 new Hidden Avatars for you to find!!! We have just released a new Goals Game. At every level you have a new goal to complete related to Gigantic Paradise. Each level gets harder to complete but you will receive a prize for completing each level. Unlike quest and mission games, you have unlimited amount of time to complete each goal level and you can only complete them once. New levels will always be added to the Goals in each world. Prizes include rare items only avaliable from goals, MP, BP, RP, Dukka Coins, Account Upgrade Credit and stats for your pets. The Gigantic Paradise Goals is the eleventh world to have goals and currently has 16 levels for you to complete. New levels will be added in the news to these goals all of the time, each with a brand new prize. The Gigantic Paradise Goals has been added to the map. A new shop has opened in Vortex Park. 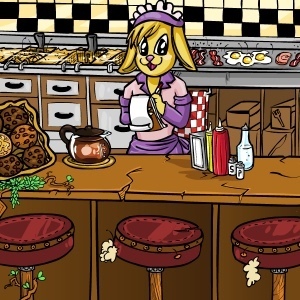 The Diner sells rare and expensive food that no pet should ever risk eating! The Vortex Park Diner should have been closed down a long time ago, but even the health inspectors are too scared to go near this place! The food here is rare and expensive, as most people are too scared to go near the place! If you wish to brave food poisoning, you can buy some of her freshly cooked meals or desserts. The menu changes frequently, with items often retiring without any notice. The Lottery has been drawn for this week. DevineDarkSoul is the winner of the 1,306,900MP Jackpot with the winning numbers of 17, 15, 13, 12, 18 and 3! Congratulations! Last Week's Raffle has now ended. nzlamb is the winner of the Red DNA and 100,000MP prize with the winning raffle ticket number 33873! Congratulations! Make sure you buy your tickets for today's raffle - only 10MP per ticket! The Game of the Week has now changed to Dagger Throw. The Tasi, Chibs, Ercuw and Lati are avaliable in these new colours. To help keep these pets limited edition and rare, once these pet potions are retired from the current Account Upgrades they will not be released in the Account Upgrades again for at least another 2 years! This will be your last chance to get these pet species from Account Upgrades for a long time!! The Lottery has been drawn for this week. andrea123 is the winner of the 567,300MP Jackpot with the winning numbers of 16, 5, 9, 13, 12 and 25! Congratulations! Last Week's Raffle has now ended. andrea123 is the winner of the Red DNA and 100,000MP prize with the winning raffle ticket number 27674! Congratulations! Make sure you buy your tickets for today's raffle - only 10MP per ticket! Our annual Easter Egg Hunt has just started! This year's Easter Egg Hunt has 40 levels for you to complete. There are 40 new easter eggs hidden around the site and you have to follow the clues to find them. These will be hidden for two weeks, maybe longer if we have to, so everyone should be able to take part. There is one IMPORTANT RULE - you cannot list answers or give out answers on the Forums or Club Boards, Profiles, ONLY via Maramail. Anyone caught giving answers on the Forums or Club Boards, or linking to websites with the answers listed on the Forums or Club Boards will be banned from taking part, will have their prizes taken away from them and will be fined up to 100,000MP. The new April Account Upgrades have been released! There are 2 different themes - Easter and Midnight! The Easter themed Account Upgrade has the following items. 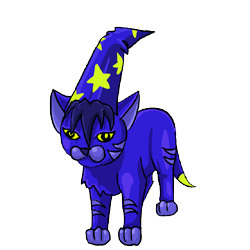 There is also a 1 in 3 chance that you will get a limited edition Chibs pet potion instead of Newth! The Midnight themed Account Upgrade has the following items. There is also a 1 in 3 chance that you will get a limited edition Chibs pet potion instead of Grint! The Lottery has been drawn for this week. ydoggy is the winner of the 371,700MP Jackpot with the winning numbers of 25, 7, 11, 1, 3 and 8! Congratulations! Last Week's Raffle has now ended. muss65 is the winner of the Red DNA and 100,000MP prize with the winning raffle ticket number 3397! Congratulations! Make sure you buy your tickets for today's raffle - only 10MP per ticket! 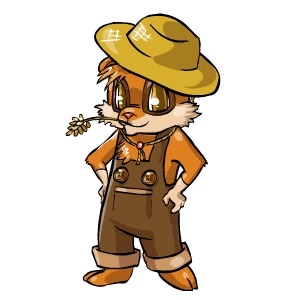 We have had so many requests for Chibs and Quells to be re-released in the Account Upgrades again but we have decided that these pets have been limited edition for so long that they are not really that limited anymore! Because they are so popular and everyone wants to have one, we have made them non-limited edition pets now and anyone can create one for free. We are sorry for those who have already paid millions for one, but there are lots of other limited edition pets you can get instead! The Lottery has been drawn for this week. Ditto129 is the winner of the 451,600MP Jackpot with the winning numbers of 18, 23, 6, 13, 4 and 7! Congratulations! Last Week's Raffle has now ended. bffleader is the winner of the Red DNA and 100,000MP prize with the winning raffle ticket number 23352! Congratulations! Make sure you buy your tickets for today's raffle - only 10MP per ticket! 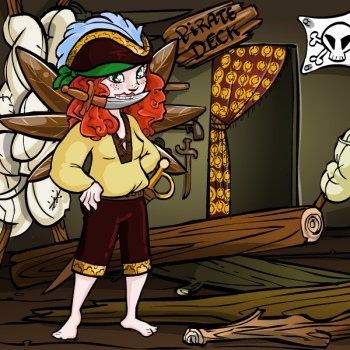 The Dukka Fairy is a notorious smuggler and thief. She cannot leave Dukka Town because she has stolen from too many people and is on the run. If she ever gets caught, she'll be spending the rest of her life in Prison. Shes bored of having to hide and gets really excited when she has visitors that she can trust. You can visit her once every 2 hours and guess whether the coin she flips will land on heads or tails. The game is FREE to play. If you guess correctly, you will get a prize and move to the next level and win double - Double or Nothing! The game ends when you guess wrong. Each level has a prize to be won. The Double or Nothing game has been added to Dukka Town. The Lottery has been drawn for this week. james657 is the winner of the 400,300MP Jackpot with the winning numbers of 1, 12, 3, 24, 11 and 9! Congratulations! Last Week's Raffle has now ended. raenarabbit is the winner of the Red DNA and 100,000MP prize with the winning raffle ticket number 19509! Congratulations! Make sure you buy your tickets for today's raffle - only 10MP per ticket! The Snowman Quests now have 24 new Ice Sculptures avaliable as prizes. We have just released a new Goals Game. At every level you have a new goal to complete related to Enpiah. Each level gets harder to complete but you will receive a prize for completing each level. Unlike quest and mission games, you have unlimited amount of time to complete each goal level and you can only complete them once. New levels will always be added to the Goals in each world. Prizes include rare items only avaliable from goals, MP, BP, RP, Dukka Coins, Account Upgrade Credit and stats for your pets. The Enpiah Goals is the tenth world to have goals and currently has 10 levels for you to complete. New levels will be added in the news to these goals all of the time, each with a brand new prize. 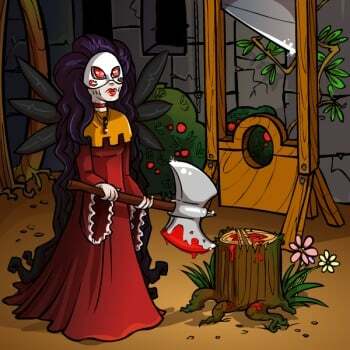 The Decapitating Fairy is the most evil and psychotic of all of the Maradan fairies. She loves to spread fear and risking the lives of your pets with her Guillotine. A few centuries ago, her job was to execute pets that had broken the laws of King Baspinar. Since the City of Marada, pets who break the law just go to prison and she is out of a job. The Guillotine has been added to the Baspinar's Castle map. The Tasi is now avaliable in 5 new colours. There are 48 new Photos for your Photo Albums! Where do these new Headless Pets come from? ?